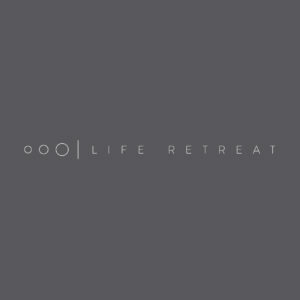 Life Retreat reserves the right to refuse adverts and/or sites for any reason. This includes the right to delete any account, that we feel may harm or abuse our system or services. Website administration must approve the submitted ad, banner and/or text to fulfil our quality standards. Furthermore, the positioning of advertisements is Life Retreats’ choice. We reserve the right to change these Terms and Conditions and/or to cancel this service at any time. Personal information users, sponsors or companies provided to Life Retreat, is confidential and isn’t be distributed or redistributed or shared with any third party. We reserve the right to contact you as our customer, by email to share information about our services and products. Life Retreat is not responsible for the privacy practices or the content of the links to other sites, featured on our website. We have security measures in place to protect the loss, misuse, and any changes of the information under our control. Upon use of the services at Life Retreat you agree to these Terms and Conditions. The following words apply to these Terms and Conditions, Privacy Statement and Disclaimer Notice. Any or all Agreements: “Client”, “You” and “Your” refers to you, the person accessing this website and accepting the Company’s terms and conditions. All terms refer to the offer, acceptance and consideration of payment necessary to make use of our services. This refers to formal meetings of a set time, or any other means, for the purpose of meeting the Client’s needs. This is in respect of provision of the Company’s stated services/products, in accordance with and subject to, and according to English Law. Any of the above words used in any form (singular, plural, capitalized), they still refer to the same parties. Excludes all representations and agreements relating to this website and its contents or which is or may be anything associated with any other third party. This includes any errors or exclusions in this website and/or the Company’s text. Excludes all responsibility for any damages arising out of, or in connection with your use of this website. Damage caused to your computer, computer software, systems and programs and the data or any other direct or indirect, consequential and incidental damages. This Company does not however, exclude responsibility for death or personal injury caused by its negligence. The above exclusions and limitations apply only to the extent permitted by law. They do not affect any of your statutory rights as a consumer. Delivery terms and conditions exclude weekends and public holidays. Unless otherwise stated, the services featured on this website are only available within South Africa. We are entirely responsible for measuring the suitability for a particular purpose of any downloads, programs and text available through this site. In addition, redistribution or republication of any part of this site or its content is not allowed, including such by framing or other similar or any other means, without the express written consent of the Company. The Company does not guarantee uninterrupted, timely or error free service. By using this service you accept that this Company, its employees, agents and affiliates does not give insurance against any loss or damage, in whatever manner, howsoever caused. Redistribution or republication of any part of this site or its content is not allowed, including such by framing or other similar or any other means, without the express written consent of the Company. The Company does not guarantee uninterrupted, timely or error free service, although it provides it best. Creating a link to any page of this website without our prior written consent is not allowed. By creating a link to a page of this website, you do so at your own risk. The Company does not monitor content of other parties linked to this site. We do not necessarily share or endorsd opinions expressed, or material appearing on these websites. Also, we are not the publisher of such opinions or material. We encourage our users to be aware when they leave our site and to read the privacy statements of these sites. You should evaluate the security and trustworthiness of any other site connected to this site or accessed through this site yourself, before sharing any personal information. This Company will not accept any responsibility for any loss or damage in whatever manner, howsoever caused,. This refers to anything resulting from your disclosure to third parties of personal information. Copyright and other intellectual property rights, exists on all text relating to the Company’s services and the full content of this website. This logo of the Company is a registered trademark of this Company. All contact information is on our Contact Us link on our website. Neither party shall be liable to the other for any failure to perform any obligation under any Agreement which is due to an event beyond the control of such party. All of the above causes the termination of an agreement or contract entered into, as it could not have been reasonably foreseen. Failure of either Party to insist upon strict performance of any provision of this or any Agreement or the failure of either Party to exercise any right or remedy to which it. He or they hereunder shall not constitute a waiver thereof and shall not cause a diminution of the obligations under this or any Agreement. The laws of South Africa govern these terms and conditions. By accessing this website, and using our services/buying our products] you consent to these terms and conditions. And also to the exclusive jurisdiction of the South African courts in all disputes arising out of such access. If any of these terms are invalid or unenforceable for any reason (including, but not limited to the exclusions and limitations set out above), then we will severe the invalid or unenforceable provision from these terms and the remaining terms will continue to apply. Failure of the Company to enforce any of the provisions set out in these Terms and Conditions and any Agreement, or failure to exercise any option to terminate, shall not be a waiver of such provisions and shall not affect the validity of these Terms and Conditions or of any Agreement or any part thereof, or the right thereafter to enforce each and every provision. Only duly authorised representatives of the Company will amend, modify, vary or supplement these Terms and Conditions except in writing and signed that representative. The Company reserves the right to change these conditions as it sees fit and your continued use of the site will signify your acceptance of these terms. If there are any changes in how we use our site customers’ Personally Identifiable Information, we will notify you by e-mail or postal mail if the change affects you. They do not affect your statutory Consumer Rights. 1. entrants must comply with these competition terms and conditions, to enter. 5. The winners names will be published on the Life Retreat website or any other social network within 5 (five) working days of announcement. 6. Life Retreat’s decision is final and no correspondence regarding the decision will be entered into. 7. Prizes are not transferable or exchangeable and cannot be taken as cash. 8. In the event of any prize being unclaimed by the winner more than 7 business days subsequent to the draw, further judging will take place to determine a replacement winner. 9. Prize values are the recommended retail values as provided by the suppliers and are correct at the time of publishing. Life Retreat accepts no responsibility for any variation in the value of the prize. 10. . Any incorrect contact details on the website shall be invalid. 11. Life Retreat is not responsible for any problems or technical malfunction of any telephone network or lines, computer on-line systems, servers or providers, computer equipment, software, technical problems or traffic congestion on the Internet or at any web site, or any combination thereof, or any other technical failures, including but not limited to any injury or damage to participants’ or any other person’s computer related to or resulting from participation in or downloading any materials for competitions. Life Retreat reserves the right to cancel, postpone, or amend the competition. 13. Life Retreat shall not be liable for any loss or damage whatsoever (including but not limited to indirect or consequential loss) or for any personal injury suffered or sustained, as a result of accepting and/or using the prize except for any liability which cannot be excluded by law. 14. Should Life Retreat require certain of the entrants’ personal information in order to conduct the promotion, and the entrant does not provide such information, the entrant may not participate in the promotion. 15. Life Retreat will respect the confidential nature of all personal details provided and as such. We will keep all details confidential. • Kindly send all non-returnable products to our physical address. • Send all relevant information about the product to us. Ingredients, if necessary, safety standards, etc. We also require pictures of the product for our website, as well as a hyperlink to your site. • Allow us at least 15 working days to try out, test, use and play with your product. • We will review in blog format, and shared on our site. Furthermore, we will share the review on all forms of social media where we have a presence, namely, Facebook, Twitter, Google+, Pinterest and Instagram. • An email will be sent to you to communicate when your review has been shared. • Our mission statement is to promote health and all round well-being. Therefore, if a product doesn’t meet these standards, or is of inferior quality, our score will reflect this, as we have an obligation to be honest, to our readers. • Giveaways and competitions are an awesome way to promote your product, and engage with our readers. Therefore, please note that this is optional, and not a requirement.